Serving the Findlay Twp Community since 1924. Come out and join us for our annual Touch A Truck this year! 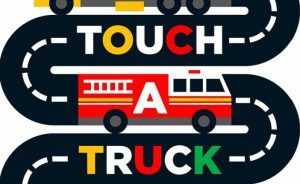 This exciting, family-fun event is where children get the unique opportunity to see, touch, and safely explore different kinds of trucks! There will be a variety of construction trucks, a fire truck, ambulance, police car and more! Mark your calendars to join us for some fun!! !